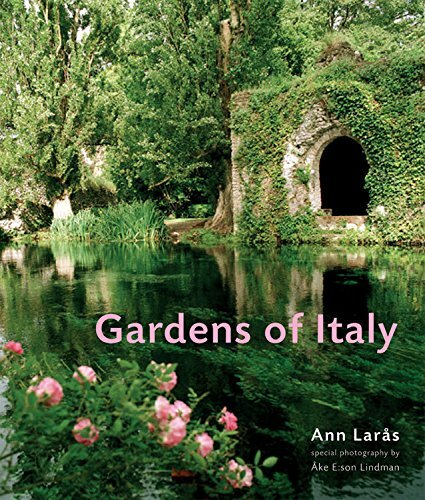 The book Gardens of Italy by Ann Laras gives a review of 500-year-old sustainable green treasures in the central, northern, and southern Italian peninsula. • Veneto in the northeast. • 2 pages of maps. It contains an 8-page foreword on the inspirational sources of Italian Renaissance gardens in the ancient Roman imperial country and courtyard gardens and the Hellenistic, Near East, and Persian traditions of hunting parks. Largest of 3 vaulted subterranean rooms in Livia's Villa depicting luscious garden with ornamental plants and pomegranate trees is installed in Rome's National Museum (Museo Nazionale Romano), housed in Palazzo Massimo alle Terme. paternal great-grandmother of Emperor Caligula (August 31, 12 – January 24, 41). Commissioned by Cardinal Ippolito (II) d'Este (1509 – 1572), grandson of Pope Alexander VI (1431-1503) and inscribed as UNESCO world heritage site in 2001, Villa d'Este exemplifies Renaissance architecture and the Italian Renaissance garden. 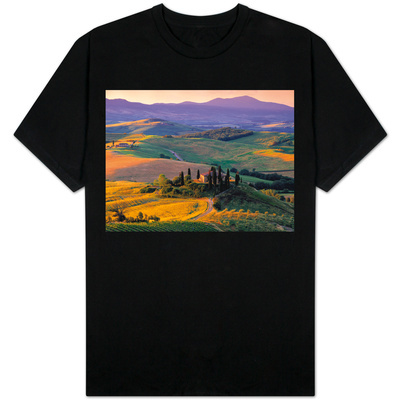 Tuscany’s gardens of Boboli, Fineschi, Foce, Garavicchio, irises, Parco di Demidoff, Porcinai, and Venzano, and of Villas Castello, Cetinale, Gamberaia, Garzoni, I Tatti, Mansi, Petraia, Reale, Vicobello, Vignamaggio. 16th century palace underwent renovations of ground floor and landscape 1961-1963 by renowned Venetian architect and designer Carlo Scarpa (June 2, 1906 – November 28, 1978), who restored courtyard garden. Erich Lessing, Åke E:son Lindman, photographers. Survey of more than 60 major gardens in Italy -- all open to the public. Gardens at Villa Vignamaggio, 16th century villa featured in William Shakespeare's effervescent comedy, "Much Ado About Nothing," directed by Kenneth Branagh in 1992. Larås, Ann. 2005. 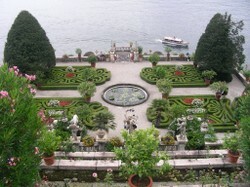 Gardens of Italy. Introduction by Thorbjörn Andersson. Special photography by Åke E:son Lindman. London, England, U.K.: Frances Lincoln Limited. MBC, Thank you for enjoying the writing and liking the pictures! Italy is such an inspirational place for doing what I love to do: getting to know a country through its cultivated and wild plants and domesticated and wild animals. Very interesting - great pix.